Me and my wife are looking to buy a home in about ayear or so this would be like down payment on it and get us stared sooner. Win ,really! I already take heart medication maybe id be alright, sure would be nice to find out ,I won at bingo once. Go Ryan. Pay my mortage. I am taking authority over this in the name of Jesus. Just put a new roof on the house, certainly could use one month without a payment. I like watching car racing. It’s exciting. I would love to be suprised for I have never won any contest before. It sure would be great not to have to make a mortgage payment and be able to apply the money to fix my house up that badly needs things done to it.Thanks for the opportunity to enter a contest like this. 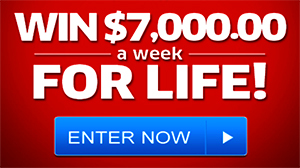 Want to enter Bring It Home sweepstakes.